Welcome! 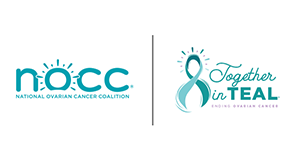 This year I will be participating in the Together in Teal Run/Walk to end ovarian cancer. This cause is very dear to me, and I appreciate your support! I'm inviting family and friends to join me in this wonderful event. I aspire to create an annual tradition through which we can spread awareness, raise funds for research, and honor the ING-credible life of my mother, Ingrid. Remembering and honoring one of my favorite people. She left footprints on my heart. looking forward to participating in this very special cause!